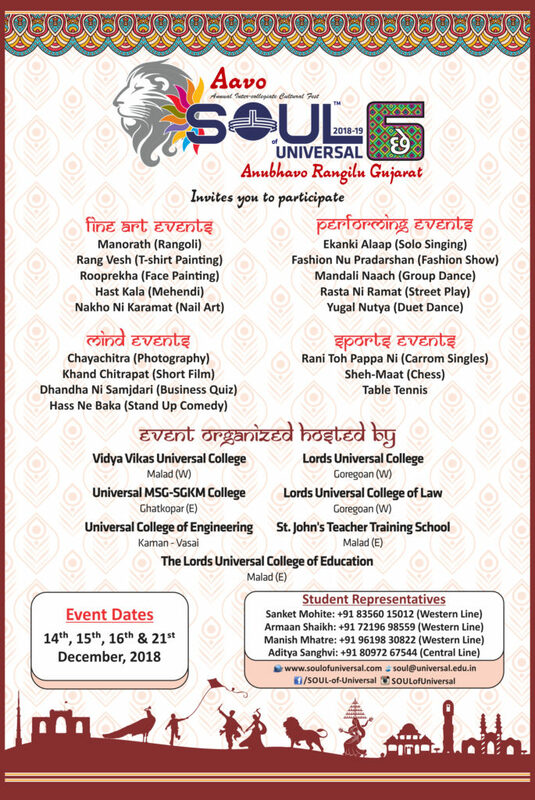 This Annual Inter-Collegiate Festival-SOUL of Universal is organized in a bid to promote the talent of college students to celebrate the zeal of the youth. This event is a synergy of the youth creativity and talent quotient. It is a hustle bustle affair with gamut of events rolled to test talent and mental ability, logical thinking, spontaneity and knowledge. A number of events and competitions catering to a variety of disciplines such as music, dance, fashion, mind games etc. are a part of this fest. This event will explore both participants and viewers to a cultural extravaganza. 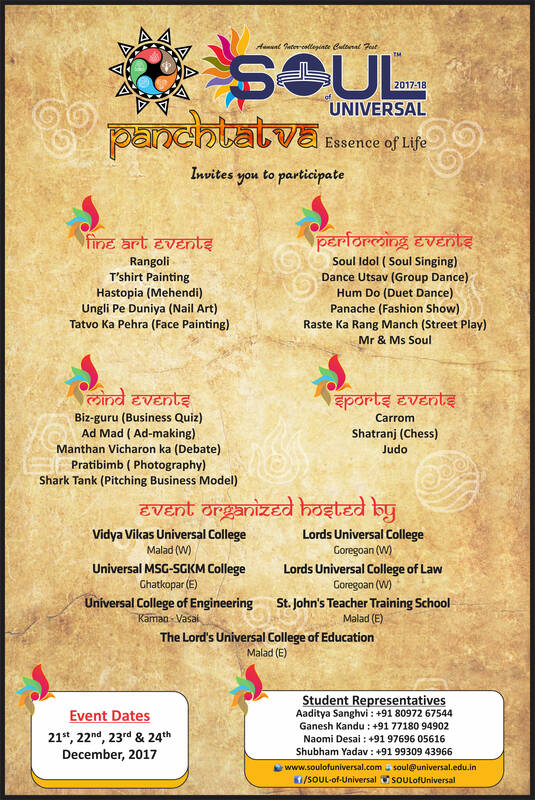 This Inter-Collegiate Festival will showcase the multifarious talents and enthusiasm of the students from various colleges across Mumbai, Pune & Nasik. So come out and enjoy your hearts out, at the SOUL of Universal ! !